Dynegy said it will idle at least three coal-fired units in Central and Southern Illinois beginning in the fall, saying the merchant units can’t recover their costs from MISO’s energy and capacity markets. The company also said it’s considering closing another 500 MW of coal-fired capacity in Zone 4, though it didn’t name specific plants, with a final decision due later this year. Including Dynegy’s 465-MW Wood River Power Station — which it previously announced would shut down in June — the planned suspensions would remove 2,800 MW of generation, about 30% of the capacity in Southern Illinois. At a Thursday meeting of MISO’s Resource Adequacy Subcommittee, Dynegy Director of Regulatory Affairs Mark Volpe clarified the company’s stance on the closures. “I want to be clear that we plan to suspend, not retire. Those units could come out of suspension given the right compensation,” he said. The company said competitive generators in Zone 4 cannot cover their operating costs under the existing MISO market design because out-of-state generators receiving regulated revenues from their home states are suppressing capacity and energy prices. “If Newton and Baldwin were located in PJM, as Northern Illinois plants are, or Zone 4 was regulated as the other MISO generators outside of Illinois are, no shutdowns would occur,” the company said in its announcement Tuesday. Dynegy said it was seeking relief from state policymakers because it wasn’t convinced MISO — whose “membership is overwhelmingly represented by out-of-state utilities that reap the benefits of the existing market design” — would make needed design changes. Unless MISO determines the units are needed for reliability, Dynegy said, Newton Unit 2 will stop operations in September, with Baldwin Unit 1 following in October and Unit 3 in March 2017. The shutdowns will leave one unit apiece still functioning at the Newton and Baldwin locations. 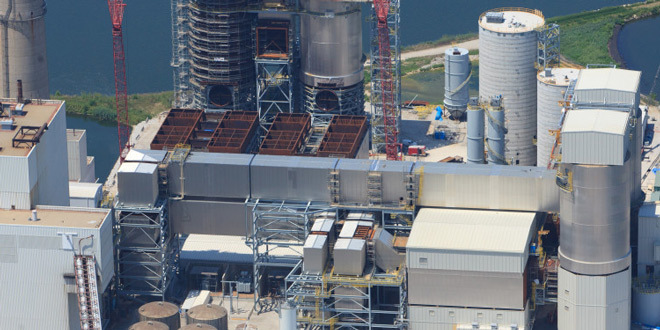 Dynegy purchased the Newton plant from Ameren three years ago along with four other coal plants, as Ameren departed the Illinois market. “In the limited time left before closures occur, we are ready to work quickly with MISO, the state of Illinois, union leadership and all stakeholders to rectify the situation and preserve the jobs and economic base in downstate Illinois,” Flexon said. FERC has begun a non-public investigation over allegations of improprieties in MISO's April capacity auction and will hold a technical conference on the matter Oct. 20. Deregulated markets in MISO would get a three-year forward capacity auction beginning in 2018, under a proposal unveiled by the RTO. Plant retirements could cause a generation shortfall as early as 2018 in MISO, two years earlier than previously expected.